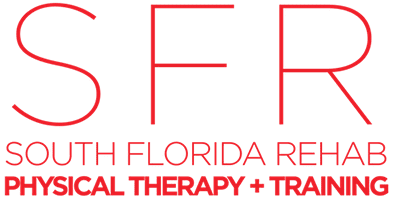 While the success of South Florida Rehab and Training Center (SFR) in Miami relies on the expertise of its physical therapists and trainers, the staff is also equipped with the latest products to help you train and recover better. From world-class athletes to weekend warriors and Little Leaguers, everyone who walks through the doors stands to benefit from the hand-selected training products at South Florida Rehab and Training Center. To learn more, call or book an appointment online. What products does South Florida Rehab and Training Center offer? CEP Compression products include compression socks and sleeves, compression apparel, and orthopedic supports and braces. CEP’s compression products have a mix of consistent and gradual compression technologies that optimize your blood flow while providing valuable support. With compression, you avoid painful cramping and muscle soreness. No matter what activity you participate in, your feet play a crucial role and have a massive impact on how the rest of your body performs. By tackling your foundation, Orthodynamics’ orthotics improve your overall balance and alignment, allowing you to perform at your best while avoiding pain and injury. RockTape is kinesiology tape that treats a host of issues, including shin splints, plantar fasciitis, runner’s knee, and back pain. The kinesiology tape microscopically lifts your skin away from your muscles and ligaments below, creating a decompressive effect for better movement and range of motion. How are these products selected? All the physical therapists and trainers at South Florida Rehab and Training Center have extensive experience getting the most out of the human body. Their combined expertise allows the center to choose the right products to address your musculoskeletal system. Whether you’re a professional athlete or just an active person, the specialists have chosen the best products to help you go faster, play longer, perform better, and recover quicker. Every new client at South Florida Rehab and Training Center undergoes a full physical evaluation, from range of motion to balance and stability. After your assessment, you sit down with the physical therapist to go over a rehab or training plan that works best for your body and goals, which includes product recommendations to help you get quicker and safer results. To learn more about the many great products at South Florida Rehab and Training Center, call or schedule an appointment online.